Fleets as well as private customers are being offered a free Chargemaster Homecharge unit as well as POLAR Plus membership when they buy a new Mitsubishi Outlander PHEV. The deal will save £279 on a 3.6kW Chargemaster Homecharge unit, which includes full standard domestic installation and enables charging 60% faster than a 13A socket. 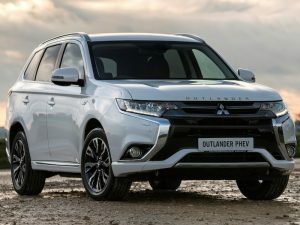 Chargemaster is also offering all new Outlander PHEV customers a free POLAR Plus membership card, which gives unlimited instant access to Chargemaster’s network of over 5,000 public charging points for a six-month period. This offer is open to new Mitsubishi Outlander PHEV customers registered between 14 October and 28 December 2016, with an installation date of 31 January 2017 or earlier, who are also eligible for the OLEV Electric Vehicle Homecharge Scheme grant, requiring standard installation.